Are you and your friends like me and my friends? We stay in touch on WhatsApp and Facebook. We grab coffee when we can, and we have really, really good nights out when we find a date that suits everyone. But we haven’t been away together since our hen parties a very long time ago, and with fifty million kids between us (well, two dozen or so) getting away hasn’t been the top priority or the easiest thing to do. But finally last year, we decided to do it. We started planning back in February, and the first date we found on which everyone was free was October. 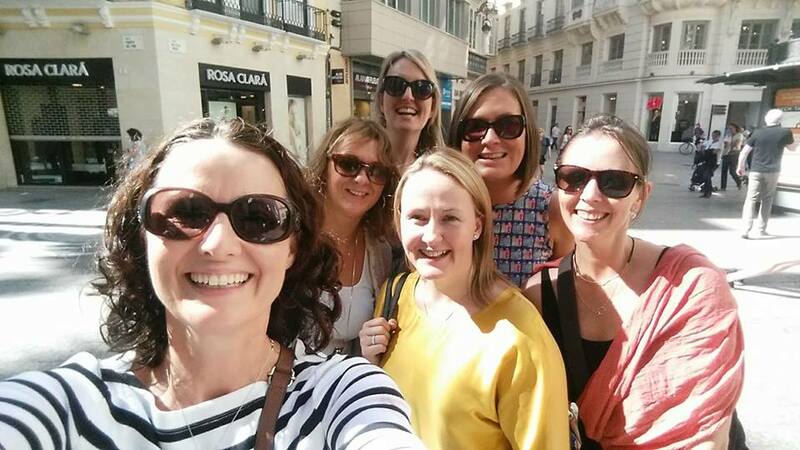 Then we searched for flights to European cities that might be warm in October, and landed (figuratively) in Malaga. Seven months and one accommodation booking later, we landed literally. And early. We were on the 7am flight from Dublin, which felt like a terrible decision when the alarm went off, but felt okay when we were sitting in Butlers at 6am eating almond croissants, and felt amazing when we were drinking coffee in the sun by midday. We were staying in apartments in the city centre (a few streets over from Alameda Principal) so we dropped off our bags then got lunch in a nearby café. After much sitting around in the sun, we paid our bill (€30 for six lunches and multiple coffees!) and went in search of sun-cream. Then we checked into our apartments and spent four minutes ooh’ing and ahh’ing over them, before sticking on sundresses and heading for the waterfront. 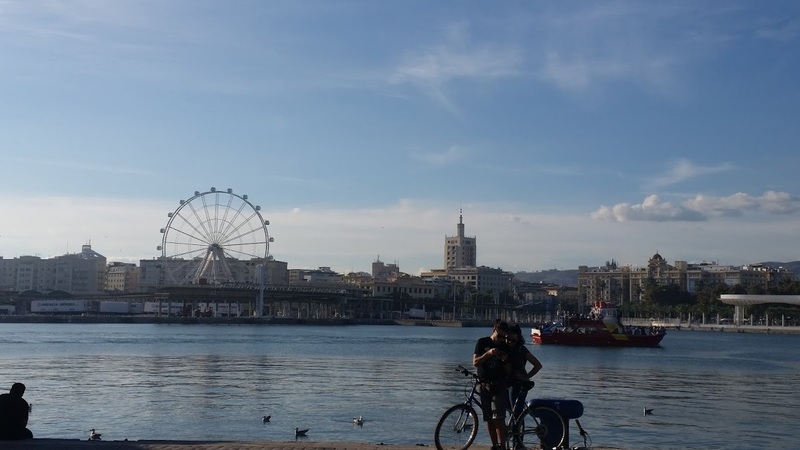 We walked through the lovely Muelle Uno area – a shopping and dining area recently built on the waterfront – and after about twenty minutes of sunlit strolling, we arrived at the beach. €20 later, we’d booked ourselves six sun loungers (haggling down from €24 – go us) and we were lying in the 25 degree sunshine. We had books and magazines and one shared bottle of sun cream and (no offence kids) not a bucket or spade in sight. It. Was. Bliss. I don’t remember the last time I lay on a beach and read a book. I don’t remember the last time I only had to put sun cream on myself. I don’t remember the last time I could just lie still in the sun, without checking that everyone is still there. As one of my friends pointed out, it takes a trip like this to realise how low maintenance we are when it’s just us. And that probably sums up the trip – low maintenance. When we got hungry, we wandered up to the beach-side restaurant for some calamari and beer. When the sun started to go down, we walked back to the apartment to get ready to go out. Someone suggested Prosecco and everyone agreed. We left the apartment around 9 to find dinner, and everyone fell into step, wandering through the beautiful (really beautiful – Malaga is stunning) city centre streets. We found a restaurant that could take all of us, then sat outdoors for the next few hours watching the world go by. 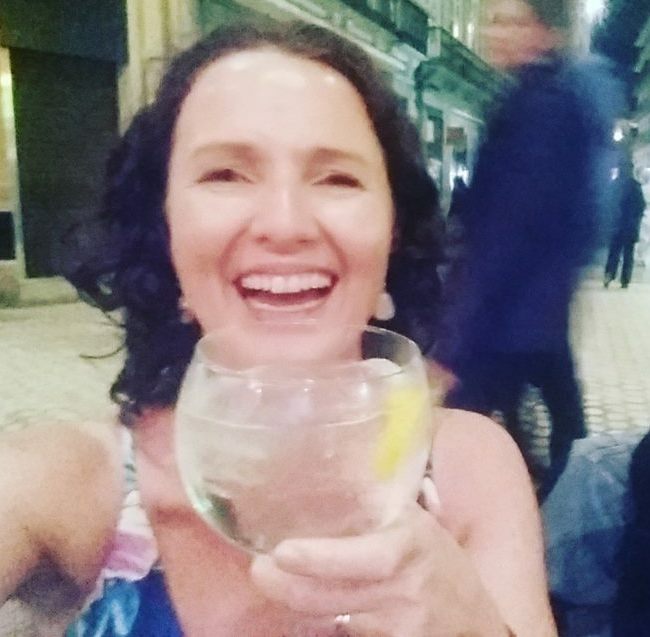 When we accidentally left the buzzy old town at 1am and found ourselves in the quieter area near our apartment, we went into the Spanish equivalent of an Old Man’s Bar and had giant €4 gin and tonics. Everything was just easy. 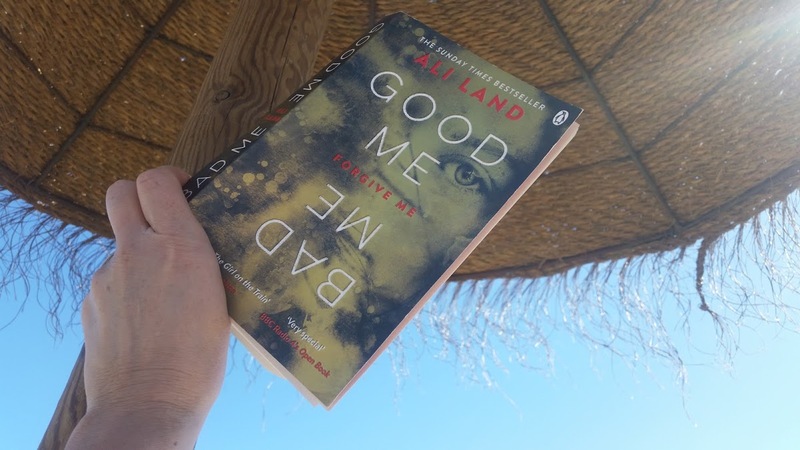 On Saturday, there was no need for discussion – as soon as we’d had breakfast (outside a lovely café a minute or two from our apartment) we headed for the beach again. Malaga is full of shops and museums and cafés and restaurants and beautiful streets, but in 25 degree sunshine, the beach was the only show in town. 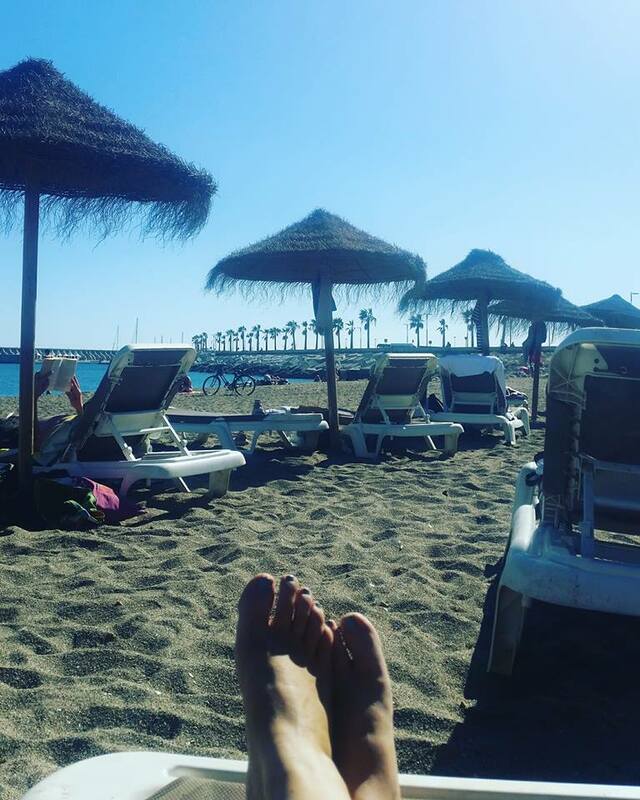 Our only deviation from the beeline to the sun loungers was a stop in Ale Hop – Spain’s answer to Tiger – to pick up extra beach towels, beach bags, and presents for the kids. 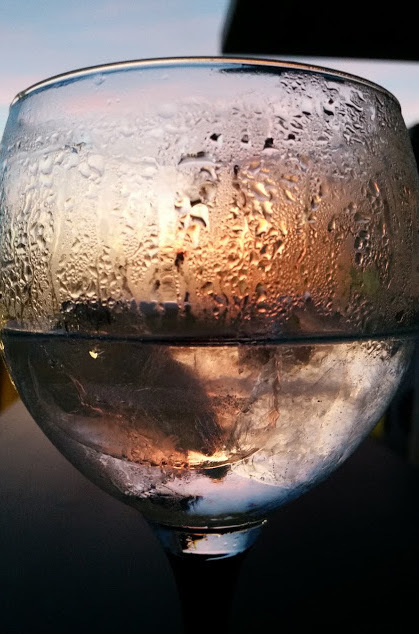 Having found a routine that worked so well on Friday – sunbathe, food, beer, sunbathe, showers, Prosecco, dinner – we repeated it on Saturday – adding in a gin in the roof-top bar – and it worked just as beautifully. On Sunday morning, tired after a late night, we had breakfast in our favourite café down the street (Santa Canela Café) then did a final bit of sunbathing in the roof garden of our aparthotel building. It couldn’t have been further removed from your average October Sunday in suburban Dublin. The best bits? Staying in the city centre, the beach, the sun, the ease of everything, but most of all, spending time with friends – and finally catching up without typing the words in WhatsApp. 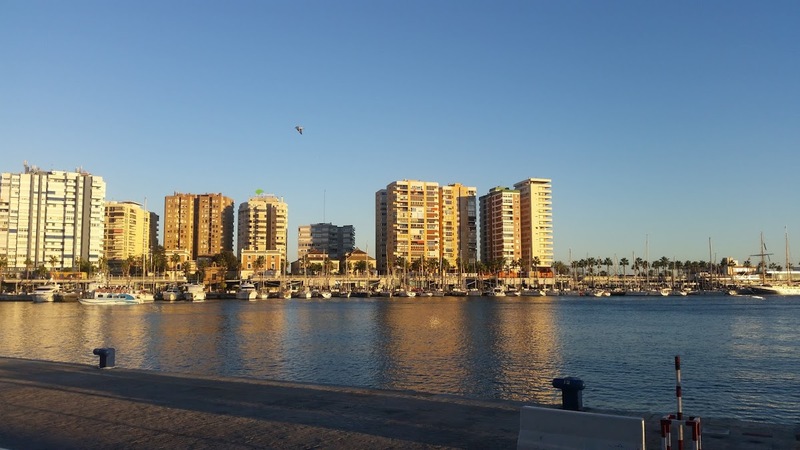 For a short break like ours, staying in the centre of the city (Malaga Centro) is ideal – you’re walking distance from the beach, from shops, and from restaurants, and no need to get taxis to go out at night. Hotels can book out quickly depending on time of year – apartments are a great alternative. Ours were serviced apartments with a reception desk, so the best of both worlds. The airport is quite near the city centre – we took a taxi when we arrived as we weren’t sure of our bearings, but on the way home, we took a train and for a couple of euro each – it took about half an hour and the train goes right to the airport. Saturday night was very busy in the city centre – in a brilliantly buzzy way, until we tried to get a table for all of us and it took longer than expected. So my advice would be don’t wait until you’re about to faint with hunger and have had one too many glasses of Prosecco before looking for a restaurant. We threw money in a kitty so that we could pay for all our meals and drinks easily, instead of trying to split bills. 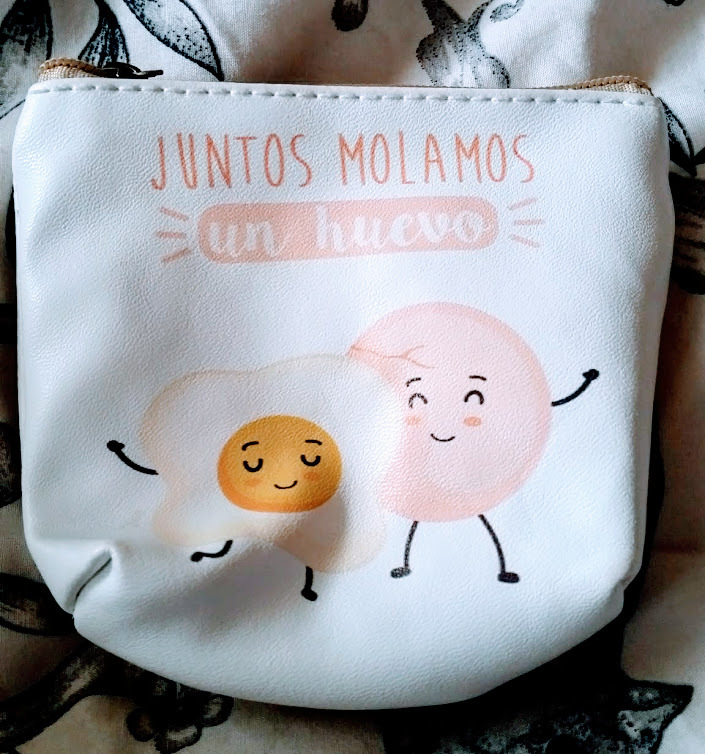 We even bought a special purse for it, which I still have (perks of the job like). My kids keep asking if they can have it but no chance – I’m just waiting for the chance to break it out again somewhere sunny.